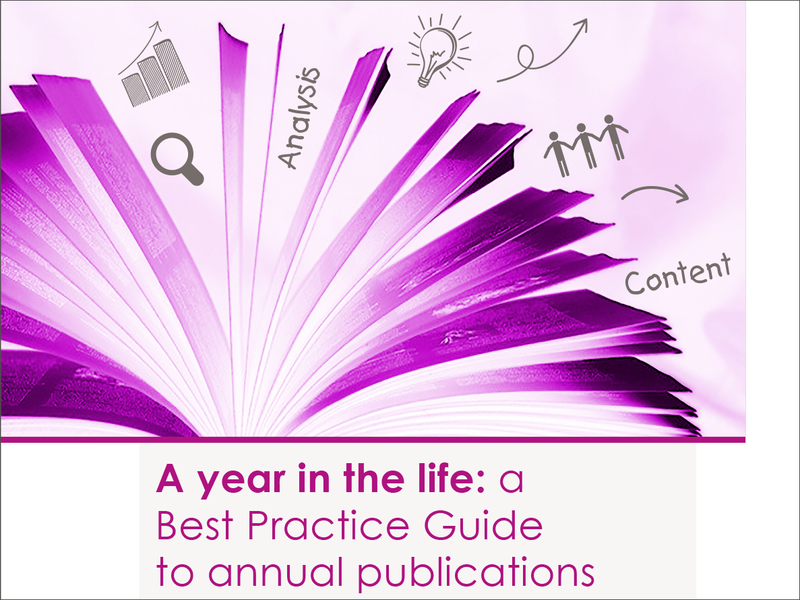 We’ve updated our Best Practice Guide on annual publications, A Year in the Life. Our 2013 edition of the guide showcased the best the third sector had to offer in terms of annual reviews, annual reports, impact reports and more, plus tips and advice on how to make the most out of your annual publication. Now, in 2017, we’re back with 18 brand new case studies from charities including Anthony Nolan, Cancer Research UK, Age International and Dogs Trust. They've shared their approach to annual publications, alongside tips, testimonials and advice from professionals in the sector you can use when planning your next publication. From annual reviews on the back of a postcard and glossy printed publications to videos and interactive microsites and apps, to doing nothing beyond the statutory minimum, charities are taking a dizzying array of approaches. For communications professionals, it can be difficult to decide which path to take when it comes to reviewing your year. We hope this guide helps you clarify your thoughts, and inspires you to take the best approach for your organisation – whether that’s an all-singing, all-dancing glossy publication or microsite, or deciding to divert your resources elsewhere and only doing the minimum. A lot has changed since 2013. Not only does the Charity Commission have a new Statement of Recommended Practice (SORP) for annual reporting, the Charities Act 2016 also has implications. Not to mention the landscape charities are operating in has shifted. In recent years charities have found themselves increasingly under attack from the media and concerned public over everything from fundraising practices to senior staff salaries. Transparency and accountability are more important than ever. Your annual reporting can be the perfect place to set out your stall, and prove you’re a credible and trustworthy organisation. Whether you’re a seasoned annual reports pro, looking to flick through some examples for inspiration to get your creative mind whirring or a newbie looking for step-by-step guidance, this guide has all the information, opinions and advice you need. We hope you enjoy it. Download the guide here.